↑ ListVerse.com (November 2009). The Ultimate Book of Top Ten Lists: A Mind-Boggling Collection of Fun, Fascinating and Bizarre Facts on Movies, Music, Sports, Crime, Celebrities, History, Trivia and More. Ulysses Press. ISBN 9781569757154. 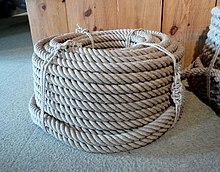 ↑ "A Brief History of Rope: 8 Times Rope has Shaped the World - Ropes Direct". 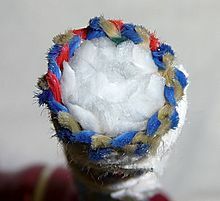 Ropes Direct. 2016-07-29. Retrieved 2017-06-13. ↑ "Fedec | Resources". Archived from the original on January 31, 2014. Retrieved 2014-01-31.